A young child has been found dead at a property in Oxfordshire, prompting a murder investigation. 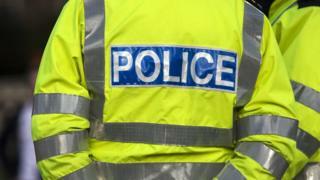 Police found the child after being called to at a home at Bromsgrove Cottages in Faringdon at around 13:20 GMT on Tuesday. A woman has been arrested on suspicion of murder, Thames Valley Police said. The child’s next of kin have been informed. Anyone with information is asked to call 101 quoting 730. An increased police presence was being provided in the area on Tuesday “to provide reassurance”. Supt Rory Freeman, local police area commander for South and Vale of White Horse, said: “This is a very shocking discovery and I am aware it may have a very direct impact on the community of Faringdon.